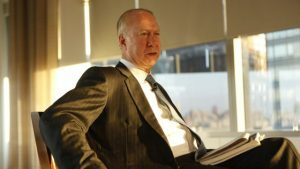 David Gergen, who is considered moderate and who is an analyst on CNN and a former aide to four U.S. presidents both Democrats and Republicans, said he believes that impeachment territory has been reached. Gergen appeared Tuesday on a CNN show to discuss controversies during the past week that have hit the White House administration. The list is topped by reports that President Donald Trump asked the former director of the FBI James Comey to drop the agency’s investigation into former national security adviser Michael Flynn. That revelation fueled claims Trump may have obstructed justice, which in years past was treated as being an impeachable offense. The big question is if that is true, and if so, it could result in devastating consequences for Trump, said Gergen. The analysts served both former President’s Richard Nixon and Bill Clinton. Both Nixon and Clinton faced an impeachment process. Gergen said that following the Clinton impeachment that he did not think he would ever see another impeachment, but he believes the country has reached impeachment territory. Gergen said that the biggest charge that brought down Nixon was obstruction of justice and it was the biggest charge that Bill Clinton faced as well what resulted in his indictment in the U.S. House. A number of media outlets have reported that the president asked former director Comey during a meeting in February not to continue the Flynn probe and to pursue leak cases by reporters instead. Comey shared the notes he had from that conversation with aides, who have described those notes to reporters. Legal advisers have said that there exists a possibility of a criminal obstruction of justice case but likely there would have to be more evidence. This news comes less than a week after Comey was dismissed by Trump and one day after new reports surfaced that Trump shared classified information with officials from Russia. The Trump administration has denied what aides to Comey described as taking place telling one newspaper in Washington that the president never asked Comey or anyone to end the Flynn investigation. Trump has defended the firing of Comey as well as the sharing of classified information with the Russians. Gergen said his opinion is, and he stressed it was a lay point of view, that Trump was attempting to impede the investigation the FBI was conducting. The firing of Comey, said Gergen, is also relevant to what Trump was possibly trying to do.